When it comes to souvenirs, there’s nothing scarier than those silver tourist teaspoons with a picture on the end… Put those away quietly and take out something still very Australian and much more beautiful: an Alperstein Tote Bag. 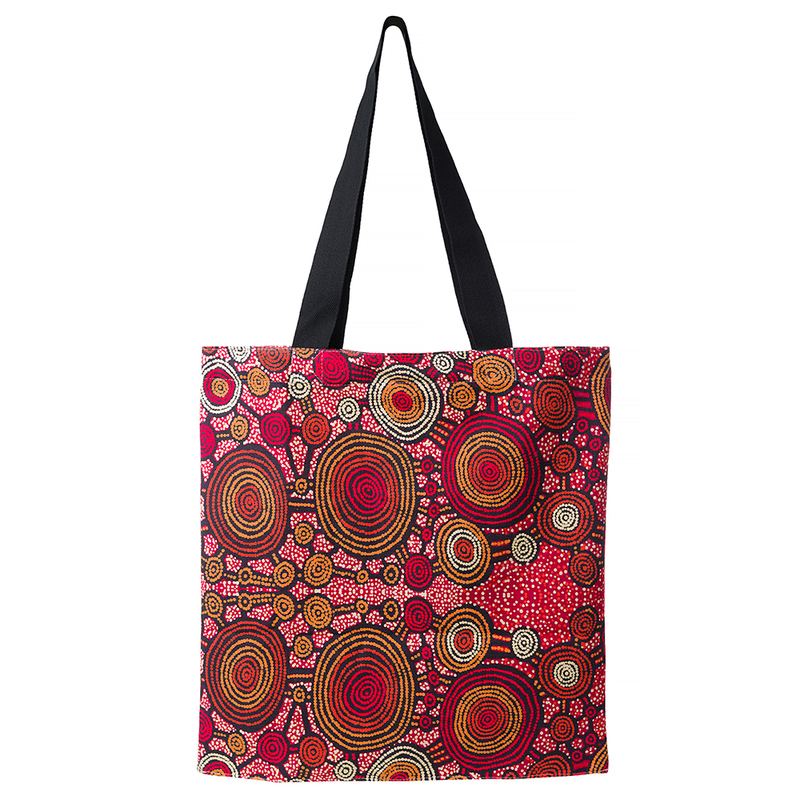 Crafted in Australia from 100% cotton, these totes are printed with vibrant artworks and are perfect for trips to the beach, shops and much more. Perfect for picnics, shopping trips and more. Warm hand wash and warm iron recommended. Please Note: Your item may slightly vary from the image above. Dimensions: 39cm (h) x 39cm (w) (Excluding Handles).